Just need a small amount to feel the biggest of effects. The true definition of ‘Less is More’. Reduces friction dramatically, improves fuel economy and engine life. BIG SAVINGS COME IN SMALL PACKAGES! Calling all motorcycle owners, it’s time to discover what NASA and millions of drivers the world-over already know, it’s time to get more pleasure from your ride, its time to join the X-1R family! Find out why winning racing drivers around the world have switched to X-1R’s proven Space Technology. Inducted into the Space Foundation and Space Technology Hall of Fame X-1R is scientifically proven to enhance lubricants and keep engines running smoother for longer. 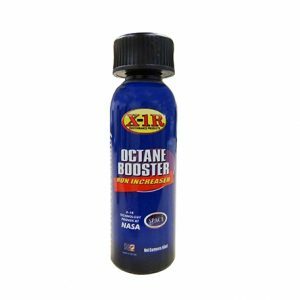 X-1R Small Engine Formula is specifically formulated to get your motorcycle engine running cooler, quieter and smoother, giving protection from wear and tear, and saving on fuel consumption. 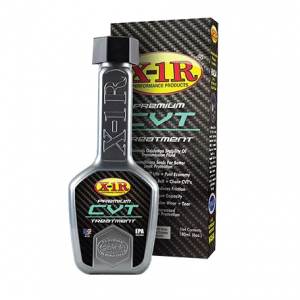 X-1R Small Engine Formula delivers excellent friction protection and provides at least 10% improvement in fuel efficiency, immediately you will notice an increase in engine power. 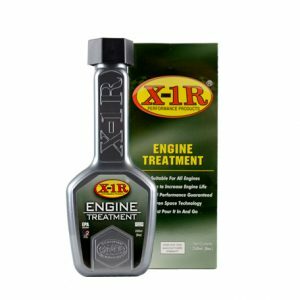 X-1R Small Engine Formula is non-hazardous, non-flammable and proven to be environmentally friendly. Just pour into your engine oil and go. Small Engine Formula can be added at any time. For optimum performance, add 50 ml of Small Engine Formula to each litre of oil when you service your vehicle. With the use of this product there should be a 7% or more increase in fuel efficiency and about a 2% increase in power. 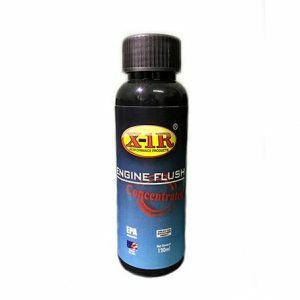 WHAT IS X-1R SMALL ENGINE FORMULA? 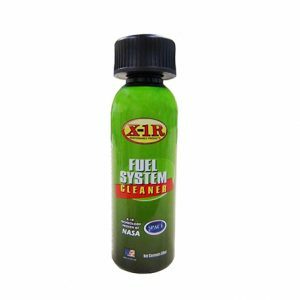 X-1R Small Engine Formula (SEF) is a liquid synthetic metal conditioner that reduces friction and wear in your motorcycle. X-1R is non-hazardous, non-flammable and environmentally-friendly. 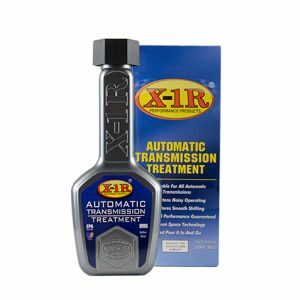 WHY IS X-1R SMALL ENGINE FORMULA SUPERIOR TO P.T.F.E.-BASED LUBRICANTS? 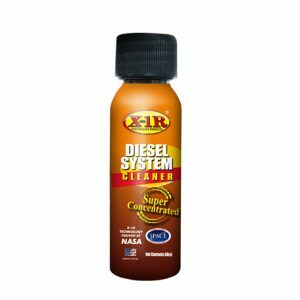 X-1R Small Engine Formula is free of any particulates and is non-clogging. It does not modify the viscosity characteristics of the host oil. It treats the metal surface at the molecular level and reduces surface roughness and increases surface hardness. X-1R can withstand temperatures greater than 500°F/260°C without breaking down. 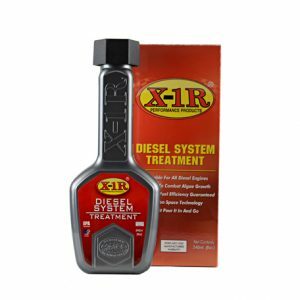 IS X-1R SMALL ENGINE FORMULA COMPATIBLE WITH ALL ENGINE OILS? Yes, X-1R is compatible with all other lubricants and additives both synthetic and mineral based. The X-1R Corporation cannot control or guarantee the condition or service of vehicles prior to using X-1R. The X-1R Corporation can guarantee that X-1R protects and out-performs any other friction reducing additive on the market. With proper maintenance of equipment and the use of the X-1R additives, equipment life will always be extended. 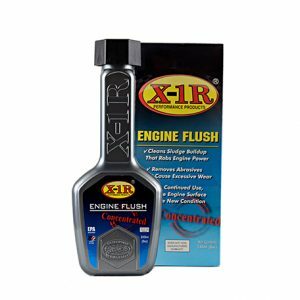 WHY DO I NEED TO USE X-1R SMALL ENGINE FORMULA? It is a fact that all oils, synthetic and mineral based deteriorate over time producing sludge and harvesting other harmful contaminants which reduce the performance of your engine. X-1R additives are scientifically proven to treat the metal not the oil. Proven space technology, formulated to improve performance, increase engine life, fuel mileage while protecting your engine from harmful dirt, carbon deposits and sludge caused by all synthetic and mineral, molybdenum (moly), PTFE (Teflon) based oil blends. WILL USING X-1R SMALL ENGINE FORMULA VOID MY WARRANTY? 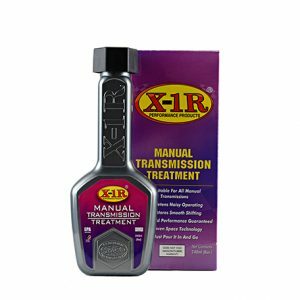 CAN I USE X-1R SMALL ENGINE FORMULA IN MY BRAKE SYSTEM? No, X-1R Small Engine Formula is not a hydraulic fluid and is not designed to be used in any braking systems. 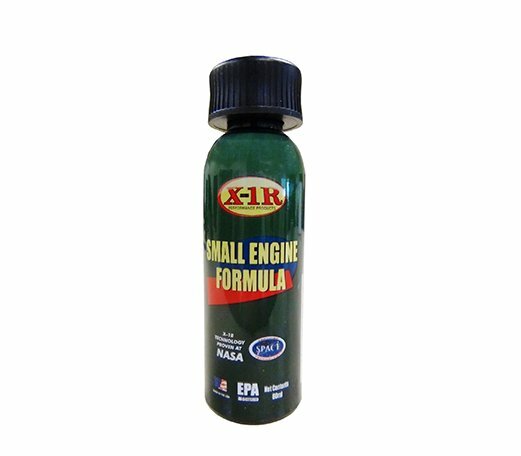 CAN I USE X-1R SMALL ENGINE FORMULA IN MY 2T ENGINE? For 2T motorbikes add 50ml of X-1R SEF to a one litre bottle of oil. Give it a good shake and pour into your fuel system as normal. For optimum performance add one bottle, that’s just 50ml of Small Engine Formula to each litre of oil when you service your 2T engine. Just pour into your engine oil and go. 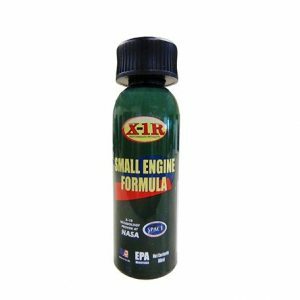 HOW DO I USE X-1R SMALL ENGINE FORMULA IN MY 4T ENGINE? 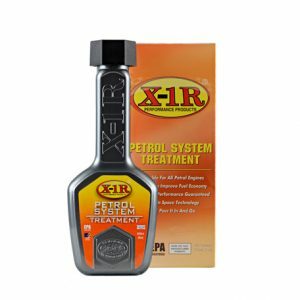 X-1R SEF is specifically formulated and designed for use in all motorcycles and scooter engines. For optimum performance add one bottle, that’s just 50ml of Small Engine Formula to each litre of oil when you service your 4T engine. Just pour into your engine oil and go.